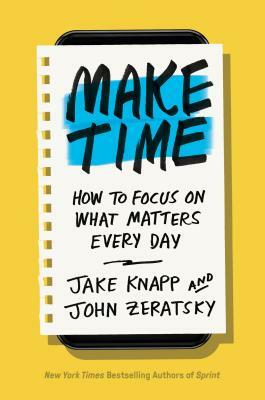 JAKE KNAPP and JOHN ZERATSKY are obsessed with the idea of redesigning time. They’re the authors of the New York Times bestseller Sprint and the creators of Time Dorks, a popular newsletter about experiments in time management. JAKE spent 10 years at Google and Google Ventures, where he created the design sprint process. He has since run more than 150 sprints with companies including Nest, Slack, 23andMe, and Flatiron Health. He lives in San Francisco with his wife and sons.